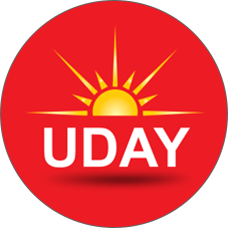 Mahindra and Mahindra presents UDAY - the first of its kind unique ownership experience program for small commercial vehicle owners to help them progress in life. You can send your feedback through telephone or email or through the Queries & Feedback section of this website or through a feedback form available at all our dealer showrooms and workshops. You can also visit our With You Hamesha website & give your feedback in Get In touch > Queries and Feedback section. You can send your communication to Head - Customer Experience, Mr. Abdul Syed, on SYED.ABDULHANIF@mahindra.com.He will strive to respond back to you within 6 hours during working days and when he is in office. A copy of this mail communication should also be marked to customercare@mahindra.com.